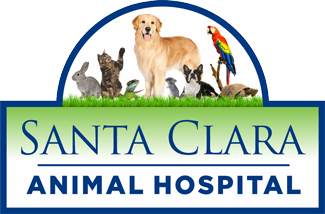 At Santa Clara Animal Hospital, an expert staff of veterinarian doctors and a skilled team of technicians are here to do just that. Under the directorship of our highly skilled veterinary doctors, your pet is always in good hands. We're ready when your pet needs us. Born and raised in San Jose, California. Dr. Cary enjoys the warmth of Eugene’s sunny days, and always longs for more! She is an avid long distance runner and Mother of four. Her days are filled with energy! Attending veterinary school at Auburn University in Auburn, Alabama and graduating in 1993. Dr. Cary is passionate about orthopedic, soft tissue and reconstructive surgery on all species. 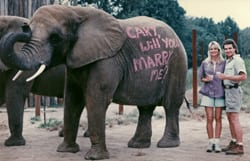 While in Nashville, Tennessee, she worked as the veterinary surgeon for the Nashville Zoo and demonstrated her mothering instincts on such species as cotton top tamarins, snow leopards and Brazilian Tapirs. Most recently she has repaired the cruciate ligament in one of the maned wolves at Wildlife Safari Park in Winston, Oregon, and is the only person successfully intubate a Reticulated Giraffe and a Nile Hippo! 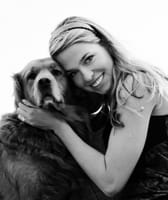 Dr. Britney Giddens graduated from Oregon State University College of Veterinary Medicine in 2012 and has been with Santa Clara Animal Hospital ever since. Dr. Giddens was born in California but grew up in Tennessee where at a very young age she was introduced to zoo medicine, and developed a passion for veterinary medicine. Before working as a veterinarian she worked as a technician at SCAH for many years. Her professional interests include canine, feline, & exotic animal medicine, and surgery. Dr. Giddens enjoys long-distance running, snowboarding, SCUBA diving & traveling the world with her husband. Dr. Amy graduated from Western University of Health Sciences Veterinary School in Southern California. She got her Bachelors in Animal Science and Fisheries and Wildlife with certificates in pre-vet medicine and poultry production in 2012. She is an Oregon native and grew up on a small farm in Douglas County. Dr. Amy loves the human animal bond. 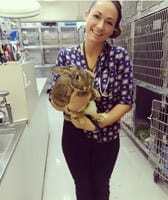 In addition to dogs and cats, she sees exotic pets and her career interests are exotic/zoo animal medicine, conservation, internal medicine, ophthalmology, and One Health. She has a pet rabbit, Radagast The Brown, and enjoys the outdoors and travel. Dr. Amy joined the Santa Clara Animal team June of 2017. Considered by many in his family to be a lifetime student, Dr. Brian Zulauf graduated from Oregon State University in 2011 with both a Master’s Degree in Veterinary Microbiology and his Doctorate in Veterinary Medicine. 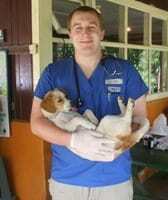 While at Oregon State University, he was lucky enough to be able to travel to Nicaragua and Costa Rica twice with the International Veterinary Student Association to volunteer at a non-profit veterinary clinic set up by OSU students. After graduation, he moved to Denver, Colorado where he completed a small animal, rotating internship at the Animal Hospital Specialty Center. He has been working in general practice ever since. Professional interests include canine, feline and exotic animal medicine. Outside of work, Dr. Zulauf enjoys cycling, hiking, travel and home brewed beer.